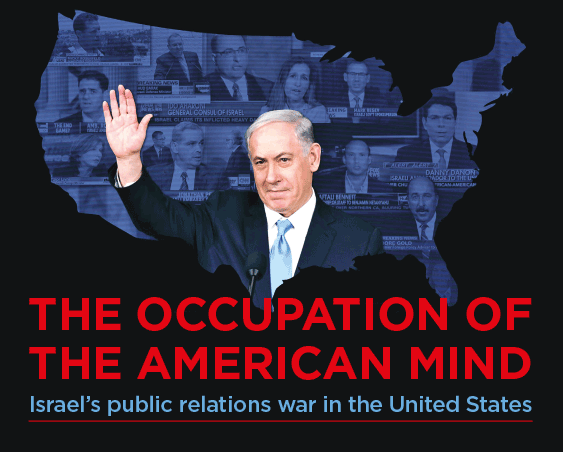 This powerful, eye-opening documentary brings past and present together in telling the story of the Israeli state’s brutal dehumanisation of the Palestinian people and its simultaneous public relations assault on the US media. From al Nakba, or the ‘Catastrophe’, of 1947 when 700,00 were forcibly expelled from their land and homes, to the slaughter in Gaza by the Israeli Defence Force (IDF) in 2014, vivid archive footage and commentary gives an accurate telling of the unparalleled, 70-year oppression and subjugation of the Palestinian people. As the world reacted with horror and outrage to the orchestration of the cold-blooded slaughter of Palestinian refugees in camps in South Lebanon in 1982, we learn of the creation of the Israeli propaganda machine. Enthusiastically promoted by the wealthy US pro-Israel lobby and elected representatives across the political divide, the myth that Israel, the underdog, is merely exercising self defence when constantly confronted by Palestinian terrorism is circulated unremittingly by partisan broadcast corporations. Donald Trump has treated us to his self-serving version of ‘fake news’ which is generally ridiculed. Tragically, the fake news here is deadly in its effectiveness. Screened in conjunction with, and support for, Haringey Justice for Palestinians.